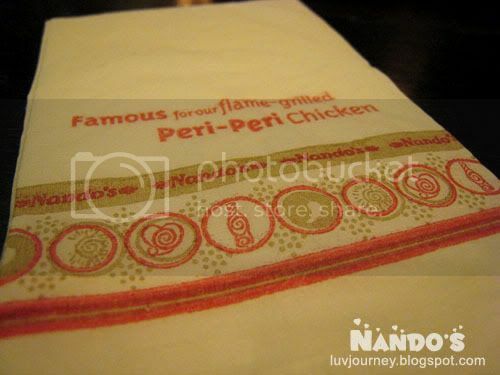 Nando's, flame grilled chicken served together with their famous peri-peri sauce, which was the African name for the Bird's Eye Chilli. 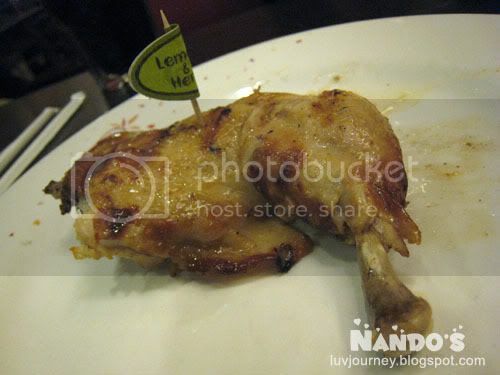 I ordered 1/4 Chicken with 2 sidelines RM14.50. 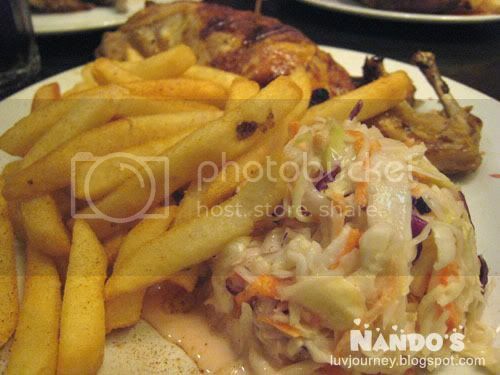 You can choose any 2 sidelines at up to 6 choices and I choosed Peri Chips and Coleslaw. 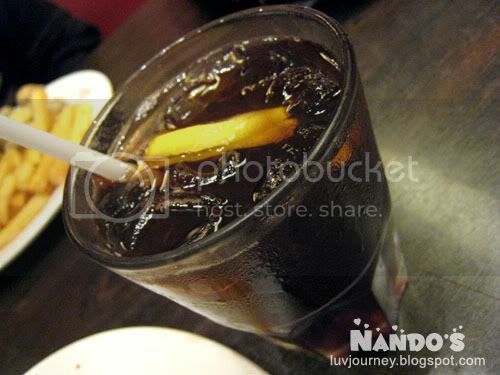 The salad is delicious! 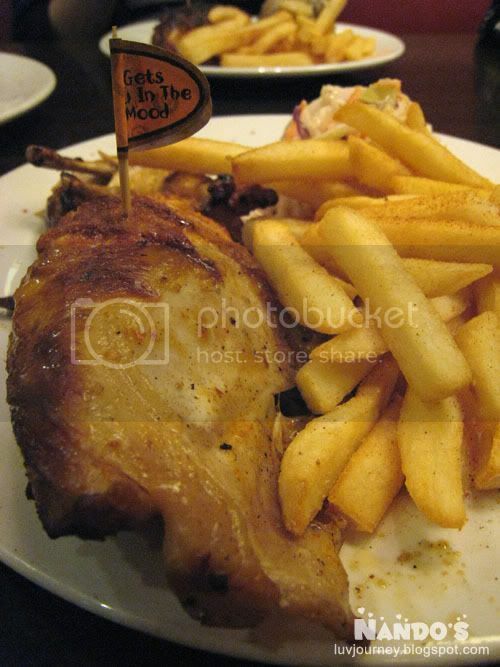 I have redeem a free Drumstick from Jusco voucher, which served with herb sauce as per request.